Since 1973, the most widely traveled and universally used hard gun case in the world has been the Kolpin Gun Boot. Our gun boots are ideal for transporting your firearm and optics safely throughout your entire outdoor adventure. From your home to your vehicle, to your ATV or UTV, to your campsite or tree-stand….and back again…over and over, year after year. The new KOLPIN Stronghold series has a universal mount system that allows you to have one mount that works for multiple gun attachments, rifle or pistol boot, etc. Then in the winter, you can use the same mount for your ice auger boot or ice rod boot. 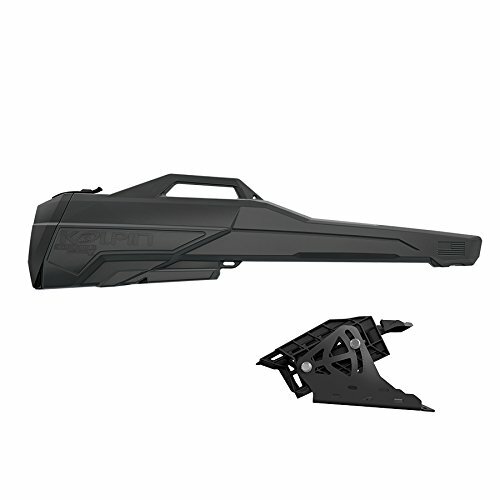 Includes Kolpin Stronghold Gun Boot L and Kolpin Stronghold Auto Latch Mount System to attach to any Off-Road Vehicle; Compact Low-Profile Design includes a removeable Impact foam liner.